It’s an excellent day to be a cat owner! You’re coming home with a meowing bundle of joy in your back seat that will be a feline friend for many years. Here’s a couple of pointers for ensuring that your fur-ball of joy is as happy as possible in your apartment. One of the many joys of owning a cat is the copious amounts of fur that can be shed. To ensure that your apartment is clean and fur free, make sure to groom your kitten at least every other day. Namely, the Furminator deshedding tool is perfect for getting off loose cat hairs. 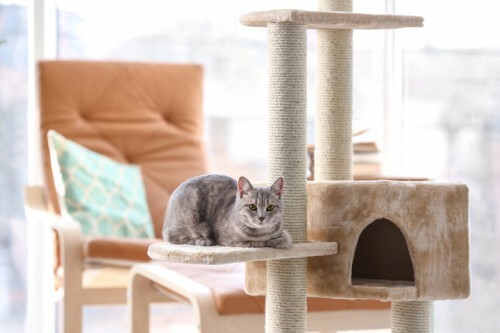 Apartments can be a little small, but establishing a space for your cat to be comfortable is essential. For example, an empty closet or corner of the room for your cat to have a little privacy will make for a happy kitty. Additionally, a cat bed in their space could also keep your cat off your bed. This may also help you eke out a few more minutes of sleep. Make sure to play with your cat everyday. It is essential to the growth of your kitten. Have various toys on hand to keep your cat entertained. Particularly, a scratching post for your cat is important as well. Scratching for a cat is almost as important as eating and drinking! Make sure to plant your cat’s litter box in a place in your apartment that is away from the hustle and bustle of people. For example, a quiet corner of the living room is perfect. 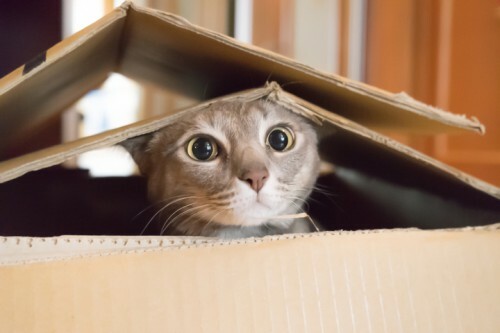 For the welfare of your cat, the box should be private yet easily accessible. Curiosity can kill the cat, but not yours if you cat proof your home! Especially make sure that stray strings, plastic bags, and cords are out of harm’s way. Not to mention, securing pantries and cups from falling will also keep your cat safe.